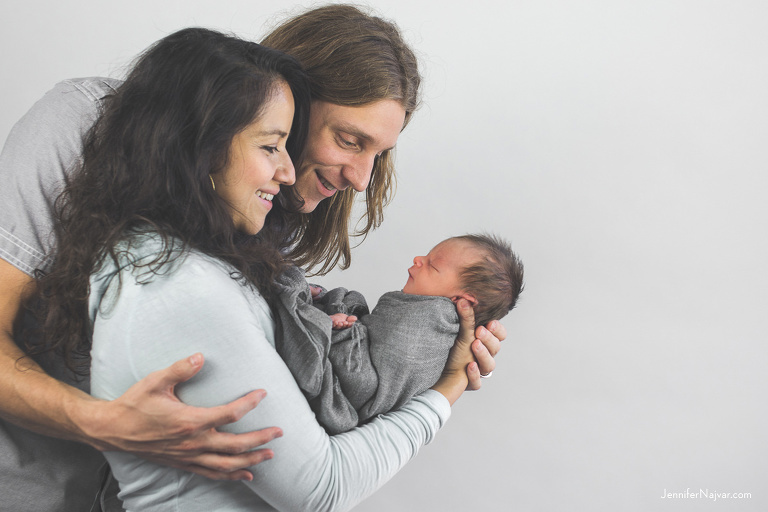 Every newborn session that we shoot is really more of a family newborn photography session. To be clear, we are not a family photography studio. We specialize in newborn, maternity and baby photography. And yes, we will also provide beautiful portraits of just the baby with every complete newborn collection. Still, we believe that the most precious portraits we can produce for our newborn clients are family portraits. 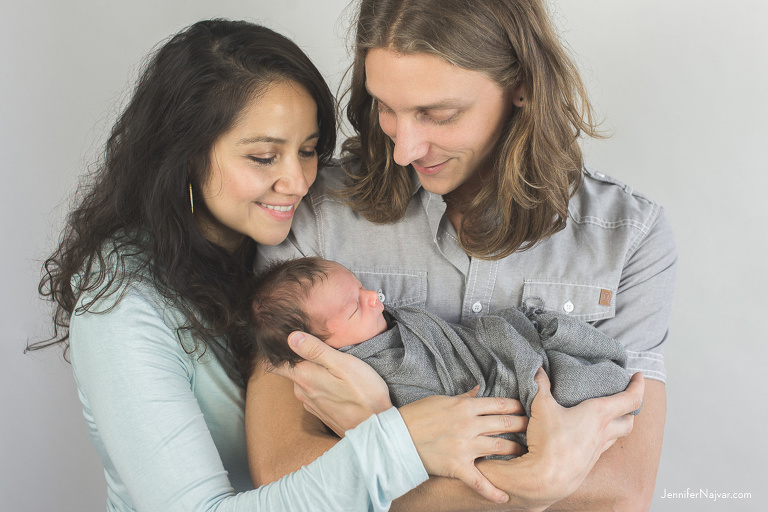 As much as we know that brand new parents will pore over the photos of their new baby, it is the portraits of the family photographed together that will be cherished even more so as time goes on. We strongly believe this to be true. We know parents choose us to photograph their baby because they value these images of their child. They value the memories of this time in their lives, and they know that this baby will not be as small for long. But, what we want those parents to consider, is that eventually, the value of these images will be even higher in the hands of their grown child. And we believe with every fiber of our being that when this baby is an adult, these family photos will mean more to him than any of the hundreds of photographs he will likely have of himself as a newborn. This is why we photograph. To create a tangible record of things we don’t want to forget and of the stories we want our children to know. To chronicle moments in time, periods in our lives, people in our families, and days that are meaningful. 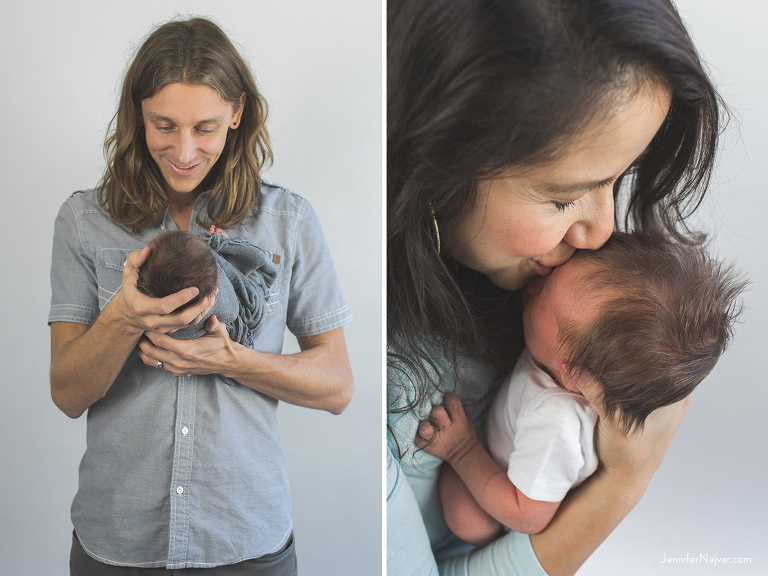 And this is why we treat our newborn sessions as family newborn photography sessions. 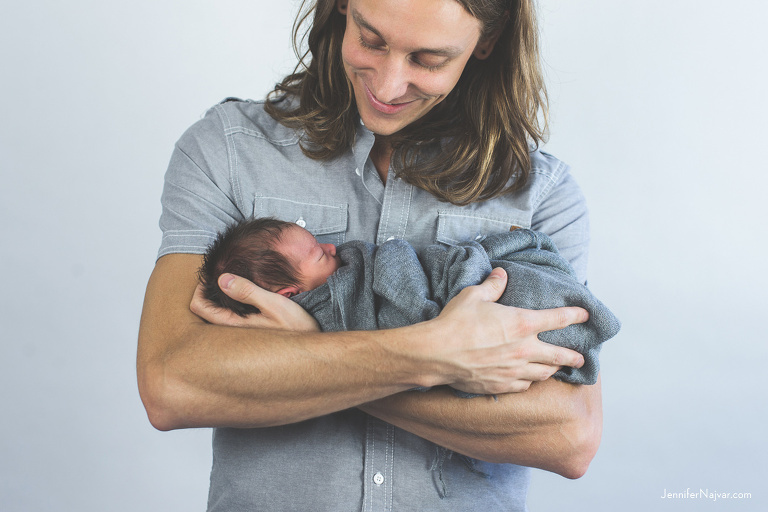 The day your baby is born, your life is changed — completely and totally. And it will never be the same again. And in the case of a newborn baby, we photograph you so that your baby can one day see their own history. This is why we insist that you exist in the record. We insist that this period in your life is recorded with you in it. We insist that the moment is chronicled…for you, and especially for your baby.